I visited to Brazil to attend the workshop, International Network for Tropical Biodiversity Conservation Focusing on the Studies on Large Animals, at National Institute for Amazonian Research (INPA) in Manaus and to visit at the Amazon River and Amazon rainforests from 21th October to 30th October. I made a poster presentation on my research entitled Behavior Comparison of free-ranging Commerson's dolphins and Chilean dolphin genus Chephalorhyncus around the south Chile coast in the workshop at INPA, held on 23th to 24th October. I could understand researches and conservation activities on Amazonian wild animals by INPA researchers and intensely discussed my research. I visited the Amazon River from 25th to 26th October and the ECO-Park and ZF2 Forest on 27th to 28th October. I observed wild animals such as Amazon river dolphins and Tucuxis in the river. And I walked to observe in the ZF2 forest. The differences in the biodiversity between dry and rain season ecosystem and characteristics of the Amazon rainforests was very interesting. 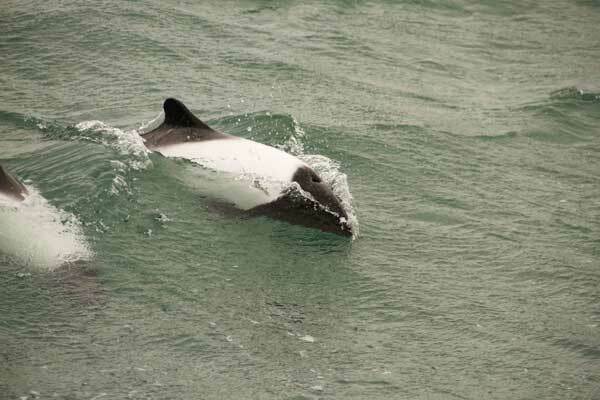 After Brazil, I visited to observe the environment of habitat of Commerson's dolphins at Peninsula Valdes, Argentina. These ocean environment were so strong wind, rough sea, cold temperature and low water transparency, it was looked like Magellan Strait states where I visited to research the commerson's dolphin in March,2012. And I visited to meet with Proffeser. Mariano Coscarella who is researcher of Wild Commerson's dolphin around Argentina coast in Centro Nacional Patagonico(CONICET). 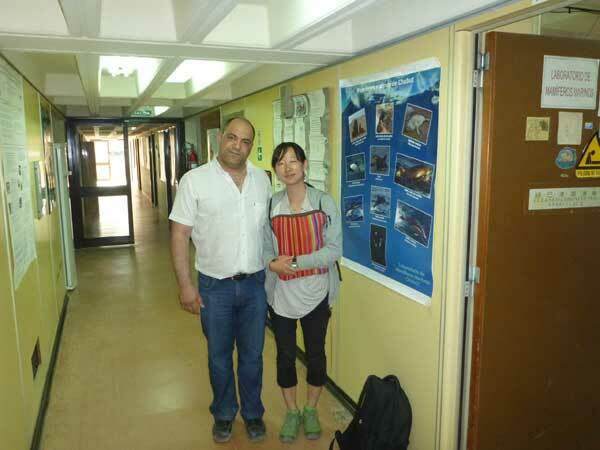 We could discussed about each researches and I got many information about the habitat use of Argentina commerson's dolphin population from them. In the future, we will start the collaborative study. 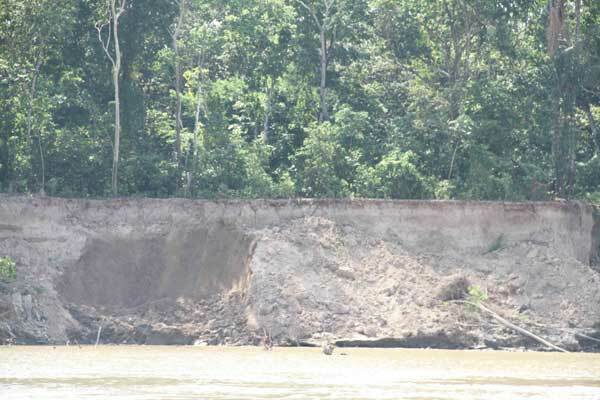 In the rainy season, the water come up to the white line of tree at Amazon river.